Groove Distribution :: :: Singles :: Downtempo, Leftfield :: Kingdom/VIP EDITION EP 12"
Home : : Singles : Downtempo, Leftfield : Kingdom/VIP EDITION EP 12"
Groove Dis Exclusive. 4 track 12" EP taken from the CD of the same name. The club banger "FUKIN JAKER", a kickass edit of USHER's r&B hit "APPETITE" and vocal and instrumental mixes of CIARA's "GOODIES", the rap hit from a few years ago. Nu bass. Post B-More? 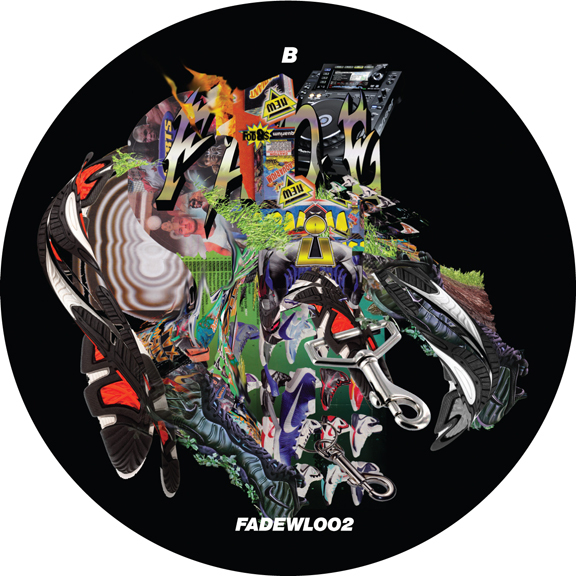 Out on NIGHT SLUGS' US sister label FADE TO MIND. Kingdom/DREAMA EP 12" Kingdom/MIND READER - TODD EDWARDS 12" Kingdom/THAT MYSTIC EP 12"
Randa & The Soul Kingdom/WHAT YOU... DLP Kingdom/VERTICAL XL 12" NA/XTREME TREMBLE 12"
Hybrid/DISAPPEAR HERE DLP Yacht/DYSTOPIA REMIXES 12" KZA/LET'S GET LOST 2 12"
FSOL/ENVIRONMENTS VOL. 2 LP Mak & Pasteman/THE WHALE 12" Kiddy Smile/TEARDROPS IN THE BOX 12"